Good morning and Happy Thursday! I took today and tomorrow off from my full time job to focus on getting ready for the retreat Saturday. I am getting so excited that I just can't contain myself. I so can not wait to spoil my stampers! I will share pictures so stay tuned! 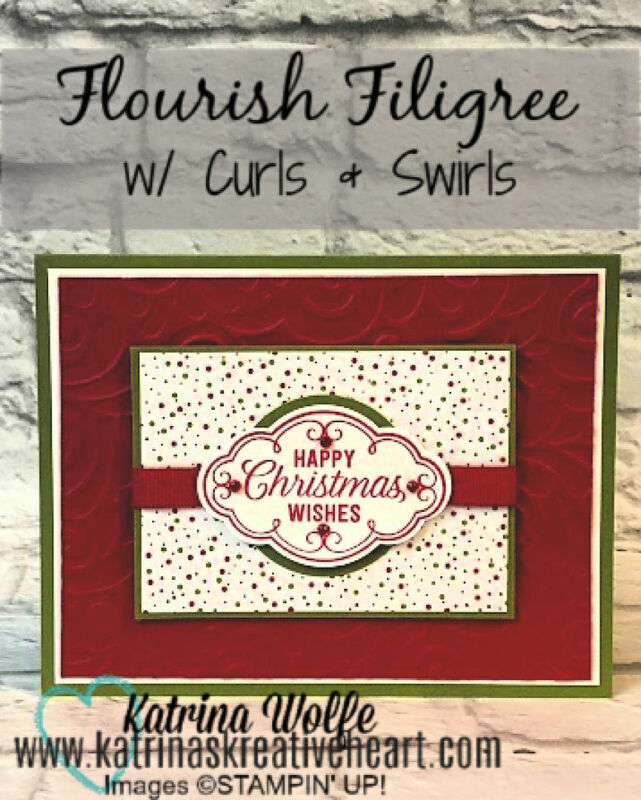 In the meantime, I have been raving all week about the Swirls and Curls embossing folder and wanted to share this awesome card I received in the Holiday Swap I participated in with several very talented demonstrators, using this awesome EF and the Flourish Filigree stamp set created by Marcia Gay. 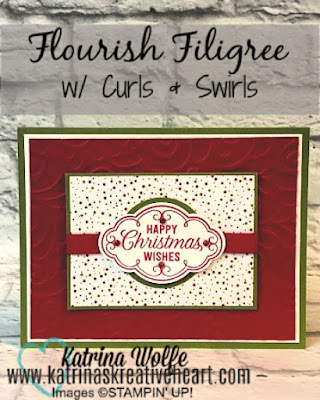 She used Old Olive for a card base and layered it with Whisper White and ran the Real red through the Big Shot with the Swirls and Curls embossing folder. This stamp set also coordinates with the Pretty Label punch found in the Annual Catalog. I hope you are enjoying these samples. I will have one more for you after the retreat, I just don't want to spoil any surprises, so just hold tight and I will have another awesome sample to share with you. New Catalog and Product Picks!